Huntington, NY Five Point Real Estate has arranged a lease with NEFCU, formerly Nassau Educators Federal Credit Union. Westbury-based NEFCU, which has 16 branches, leased 2,067 s/f of retail space for a branch at 356 New York Ave., at the corner of Elm St. The branch will be one of the credit union’s new, teller-free branches, although there will be staffers at the branch, said Five Point Real Estate principal Guy Canzoneri, who represented the landlord, 356 NYA LLC. Alison Brennan of First Development Corp. represented the tenant. Five Point Real Estate Principals Corey Gluckstal and Guy Canzoneri, managers of the property, last year advised 356 NYA LLC in its purchase of the 7,347 s/f mixed-use retail and office property. The property was an attractive purchase because of its location and the fact that it was burdened by short term, below-market leases on the two corner retail spaces, said Gluckstal. The building has a floor of offices above the retail. To accommodate NEFCU, the pair engineered the early termination of the leases of the two retail tenants — Lot 356 and Knot of This World — to free up 2,067 square feet just steps from The Paramount theater and Huntington’s Restaurant Row. The property is located at the only pedestrian crosswalk on New York Avenue in Huntington and is opposite the Elm Street municipal parking lot. 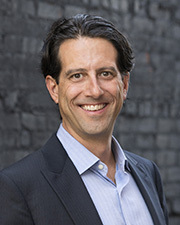 About Five Point Real Estate Based in Melville, Long Island, Five Point Real Estate was established in January 2017 by long time investment sales executive Guy Canzoneri and Long Island entrepreneur Corey Gluckstal who together have closed transactions worth more than $125 million in aggregate real estate value over the past 12 months. Five Point specializes in investment sales, capital markets, property management, 1031 advisory and portfolio review and leasing. The firm is actively seeking investment sales agents for its office in Melville to focus on Nassau and Suffolk County.